New to GlassWire here, and so far I’ve liked what I’ve seen before I purchased the Pro version. But after purchasing, I’ve been a bit underwhelmed. Let me start from the beginning. I’m being cheated by my ISP, saying that I’m using far more data than I know I am. My router security is sound, only devices that are in my house are connected, and the amount of data used has not changed dramatically since I started service with them. Since they started cheating me, I download GlassWire onto the main computer of the house. It’s always on, and always being used. It shows on average ~70GB/mo usage. My ISP has me clocked at 1650-1750GB/mo lately. So I purchase the Pro version and buy a laptop for the sole purpose of hooking up via ethernet cable directly to the modem to monitor all traffic going in/out of the modem. But the data tracked isn’t the same. In fact, it’s vastly different. Does GlassWire not monitor all traffic from a modem in this way? Or does it only monitor all traffic for the device using GlassWire? GlassWire can only monitor data on the devices it is installed on. Usually the devices that use more data than expected are PCs, therefore many people use GlassWire to see what exactly on their PC is using all the data. For example if you just saw there was a lot of data from one device on your router you could blame it on that device, but you wouldn’t be able to see why that device is using all the data without something like GlassWire. Go to the GlassWire “Usage” tab to see what apps, hosts, or traffic types are using all your data. GlassWire can also warn you if a new unknown device joins your network. Just go to your “Things” tab in GlassWire to see what devices are there, then you’ll get alerted by GlassWire when a new unknown device joins. Bring back only your Android/Windows devices at first (with GlassWire installed on them) to rule them out as the data wasters. Double check your data usage stats against your ISP stats with only those devices that are being monitored by GlassWire. Now bring on your other devices one at a time (a new one every day) until you figure out what’s the data hog by checking your daily ISP stats. 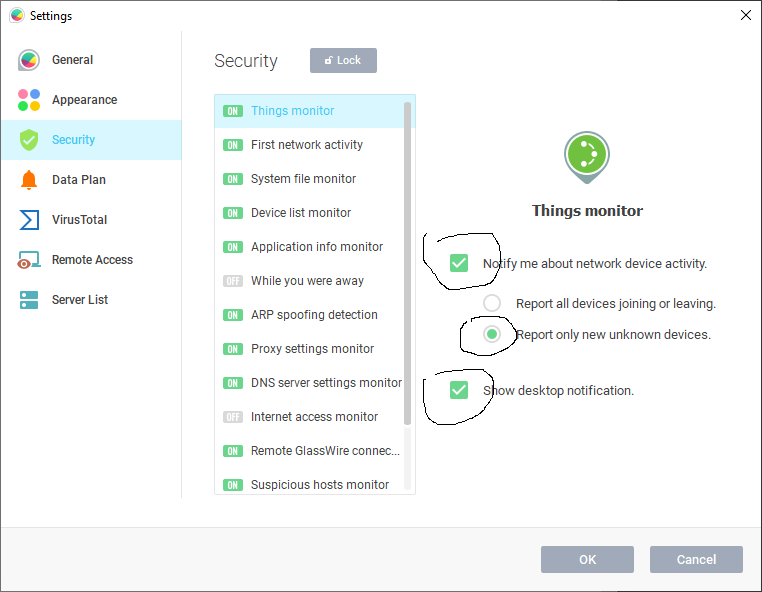 Turn on GlassWire’s Things monitor (as shown above) so you’ll know if anything strange or unusual joins your network, and is hogging your data. https://blog.glasswire.com/2016/06/15/glasswire-network-monitoring-accuracy/ - Here is a detailed post about how GlassWire counts data usage and why it is accurate.